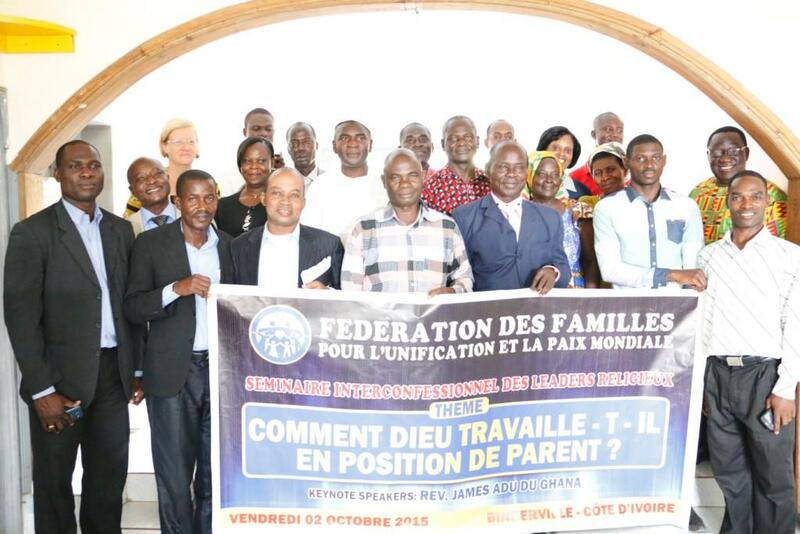 FFWPU Cote d’Ivoire: A one day interreligious seminar was held on October 2, 2015 for nine religious leaders and theologians in the house of a blessed family in Bingerville, near Abidjan. 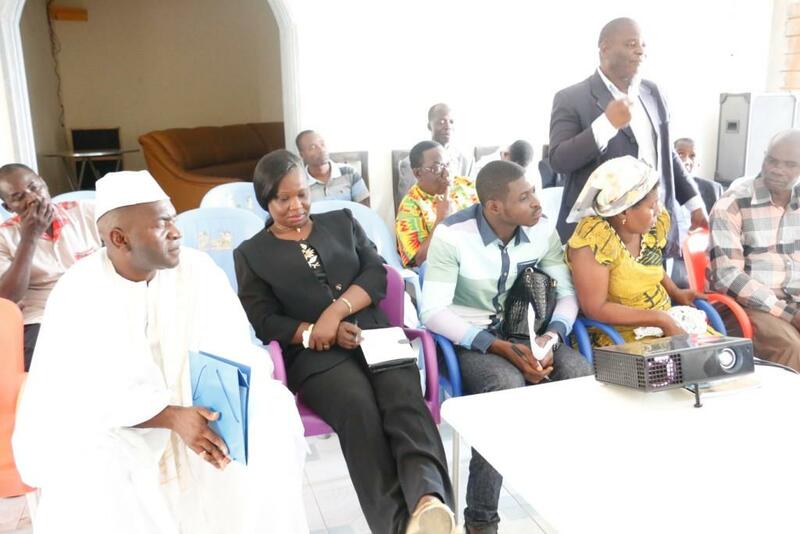 The main theme of the workshop was “How God is working in a position of a Parent?” FFWPU-Cote d’Ivoire invited Pastor James Adu from FFWPU-Ghana for this special occasion. Participants followed different lectures during the day. First, Pastor James Adu from FFWPU-Ghana lectured on “The nature of God” and put a strong emphasis of the parental heart of God. 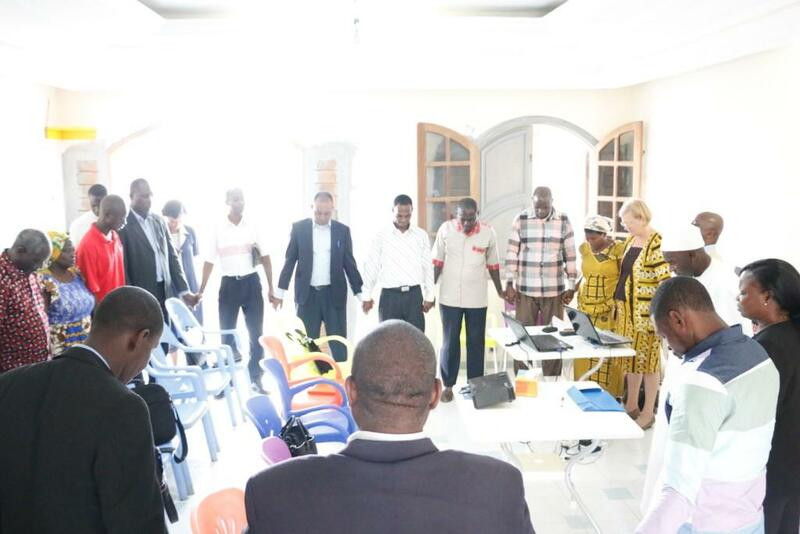 Then, Pastor Yves Aboulé from FFWPU-Cote d’Ivoire talked on “The family is at the center of the God’s ideal for the creation”, explaining the purpose of creation, the three great blessings of God to humankind. Upon requests from the participants, Mrs. Marie Lorette Elias explained the Fall and the forbidden fruit. The religious leaders and theologians attending this special seminar also watched some videos on the American Clergy Leadership Conference activities and the Blessing ceremonies. During the exchanges, the participants identified some resolutions. In short term, they plan to release a media statement on the non-implication of religion in politics for peace before, during and after the elections. 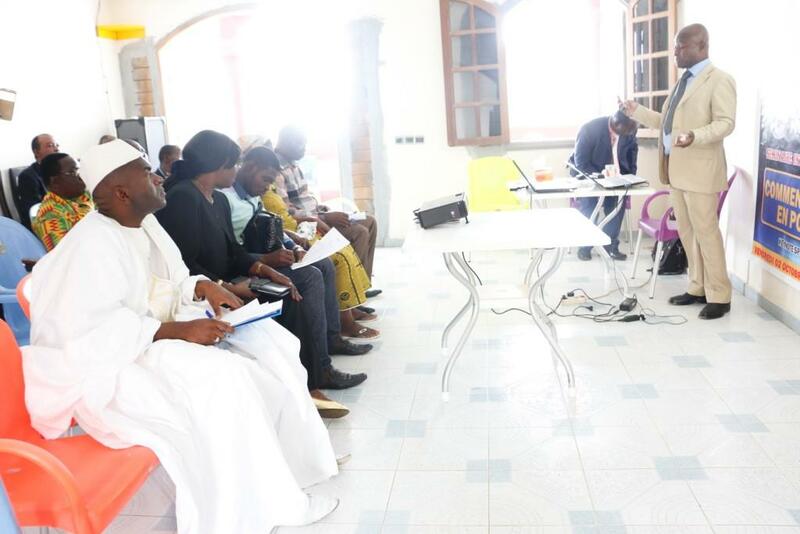 In mid-term, they plan to have more interreligious exchanges and will involve their members as well for peace through interreligious cooperation. 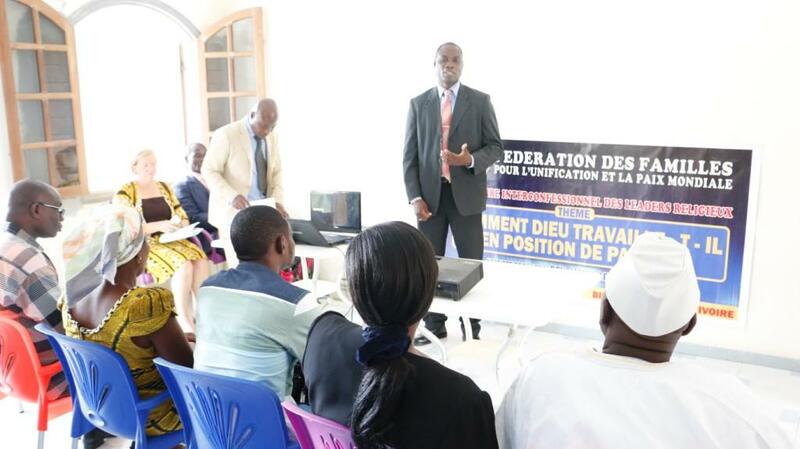 And in the long-term, they will establish a clergy for family in Cote d’Ivoire for peace through knowledge on the family model.